Gero Onsen, found in Gifu prefecture, is one of the most famous hot springs in the country. An hour from Hida Takayama, it hosts popular events almost every season! You can read here information on access to and the highlights of Gero Onsen. Gero Onsen is a hot spring resort located in Gero, Gifu Prefecture in the Tokai region of Japan. Razan Hayashi, a Jugakusha (*1) of the Edo period, named Arima Onsen, Kusatsu Onsen, and Gero Onsen as the three highest-quality hot springs of Japan. Even now, Gero Onsen continues to be one of the highest-quality hot springs in Japan. The hot spring district here is along the Hida River. The open-air baths in the inns and spa facilities along the riverside allow you to gaze at the running waters and the greenery. There are also popular seasonal events such as the Rice Field God Festival in February or the Gero Onsen Festival in August. It’d be a great idea to visit the spa according to the festival season. Gero Onsen can be accessed by train from Takayama Station in Hida Takayama, Gifu’s most famous sightseeing area, which is a one-hour ride away. 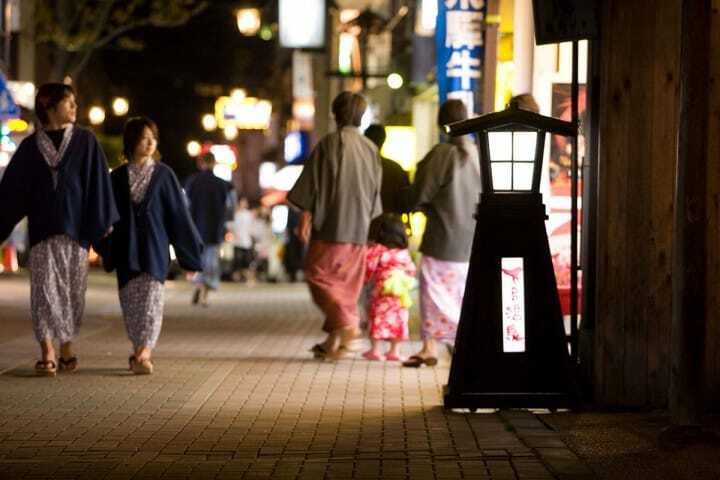 We recommend relieving your fatigue after sightseeing in Takayama at Gero Onsen. The main type of spring in Gero Onsen is the alkaline-based hot spring. It is a colorless and transparent liquid that does not irritate the skin. It is said that upon entering the springs, your blood circulation will improve, fatigue will be relieved, and that it promotes overall health. The springs are nicknamed the "beauty hot springs" due to how smooth your skin will be after bathing. ** The effects of each facility will differ depending on the type of hot spring available. Here are the best routes to take to reach Gero Onsen from Tokyo or Takayama. To go to Gero Onsen, it is necessary to first ride either the Nozomi or Hikari train of the Tokaido/San’yo Shinkansen lines from Tokyo Station to Nagoya Station. From Nagoya Station, take the JR Limited Express Wide View Hida bound for Takayama and get off at Gero Station. It will take around three hours and 40 - 50 minutes and will cost 12,890 yen. Take the JR Limited Express Wide View Hida train bound for Nagoya from Takayama Station and exit at Gero Station. It will take 45 minutes and cost 1620 yen. Nasu Onsen is a bath facility that can be enjoyed by visitors coming for the day. For those who would like to visit multiple hot springs, we recommend using the Multiple Onsen Pass which allows you to enter three partnered hot springs with one pass. One pass costs 1300 yen (including tax). Funsenchi is a free hot spring that is situated on the riverside of Hida River. It is outstandingly spacious with no roof or walls and you can soak in the hot springs with the skies above your head. Funsenchi is a mixed bath so both men and women must wear bathing suits while using the bath. An old establishment that was established in 1926. Inside the western-style white building is an indoor hot spring with a view of Hida River and the mountains. Although there are no open-air baths, it is an outstanding and spacious location. Fee: 360 yen for adults, 140 yen for children (elementary school students), 70 yen for infants. Includes bathing and consumption tax. A facility where you can enjoy seven types of baths including an open-air bath, waterfall shower, and sauna. There is also a family bath that can be utilized by families or couples. Fee: 350 yen for adults, 150 yen for children (elementary school students), 70 yen for infants. Includes bathing and consumption tax. This inn is famous for its use of seasonal ingredients in its traditional Japanese cuisine. The open-air baths offer a view of the townscape of the hot spring district. Reserved open-air baths can also be used for 45 minutes for 2000 yen. Only Japanese-style rooms are available at the inn which includes luxurious rooms with private open-air baths. A hotel with a prominent antique-styled interior reminiscent of the Taisho period (1912 - 1926). Its bathing facilities include an indoor bath, an open-air bath made with Japanese cypress, and a private open-air stump bath that utilizes the hollowed-out stump of a 700-year-old tree. The hotel also offers a healing salon and stone sauna. It is a popular spot for those who wish to fully revitalize their bodies. This extravagant inn has detached rooms (cottage-style) that all include open-air baths. The traditional Japanese restaurant attached to the inn offers traditional Japanese food including local specialties, Hida beef, and seasonal seafood. The inn is perfect for those who wish to leisurely spend time alone or with their families. Enjoy Festivals at Gero Onsen! There are various events that are held throughout the year at Gero Onsen. The winter Gero Onsen Fireworks Story is held annually every Saturday from the beginning of January to the end of March. The event lights up the night at the hot spring district with fireworks. The Rice Field God Festival or Hanagasa Festival (Japanese) is held annually from February 7th-14th. The festival begins with an advanced celebration for an abundant rice harvest with activities while dancers dance with brightly colored flower hats. The Gero Onsen Festival (Japanese) is held annually on August 1-4. It is a lively festival that showcases Gero dance, folk song, and a sacred dragon dance called Ryujin-no-Mai. Would you like to enjoy the festivals and events at Gero Onsen? Please check the Gero Onsen Tourism Association’s English website for information about upcoming events! Please read the article Bath Culture in Japan: What Every Visitor Should Know Ahead of Time for detailed rules to know before entering a hot spring. ** Information on travel time, traveling expenses, and fees have been published based on information taken from the official websites. The information provided is current as of March 2017. Please understand that this information may be subject t change.